THIS IS A RARE TRUCK AND AFFORDABLE !!!!!! 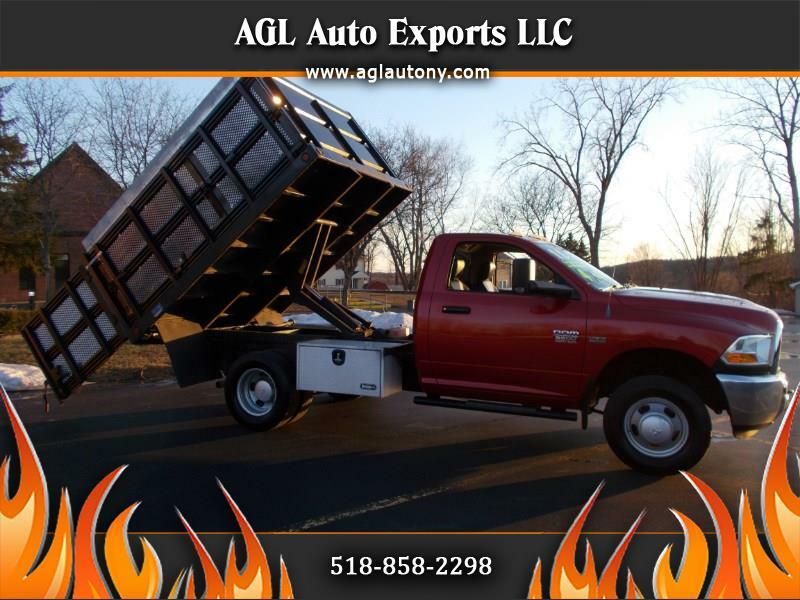 2011 DODGE RAM 3500 5.7 LITER HEMI RACK BODY 9FT DUMP TRUCK 4X4 LOADED AND NO RUST LOW MILES ONLY 49,537 WOW NO DENTS IN THE FLOOR OF DUMP USED FOR LIGHT DUTY LANDSCAPING, THE CHASIS IS FREE OF RUST THE RACKS CAN COME OFF ALSO THE THIN STEEL ON SIDES WERE ADDED FOR LEAVES SO THEY DONT BLOW AWAY YOU CAN KEEP IN THE TRUCK AND USE IT FOR LOADES ALSO BEST OF BOTH WORLS 4X4 , POWER WINDOWS AND LOCKS , CRUISE, AC , TILT, ONBOARD COMPUTER , 6 DISC CD -AUX-MP3 , CUP HOLDERS , CENTER CONSOLE , TRAILER BRAKE PKG , GRAB THIS WHILE IT HERE AFFORDABLE AND SPOTLESS!!!!!!!!!!!!!!!!!!!!!!!!!! !